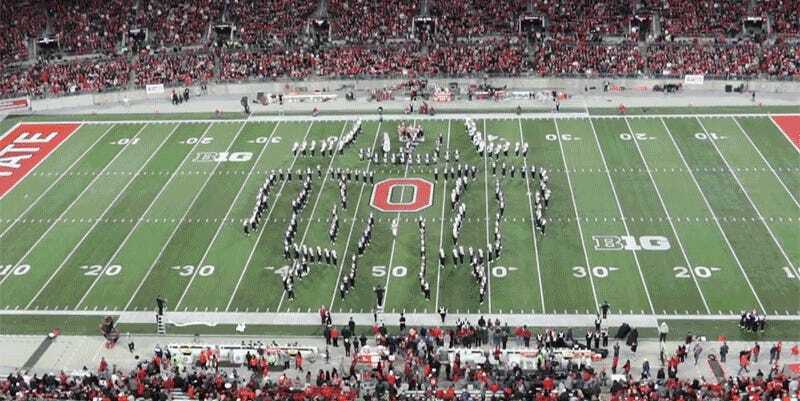 Do the students at Ohio State University who play in the marching band actually go to class? Or do any studying? Because watching this amazing college football halftime show tribute to comic book heroes makes you assume the band must have to practice 24 hours a day, seven days a week, to achieve this kind of insane precision. How does 'marching band' look on a resume?